While Recurring Plans save you time, occasionally you may need to manually create an invoice (ex: bill for materials, registration, fees, etc). Enter Due Date, Item Description, and Amount. You may also enter an optional internal note. Select the children as necessary. Click "Save" if you would like to save the invoice for later review or to send later. 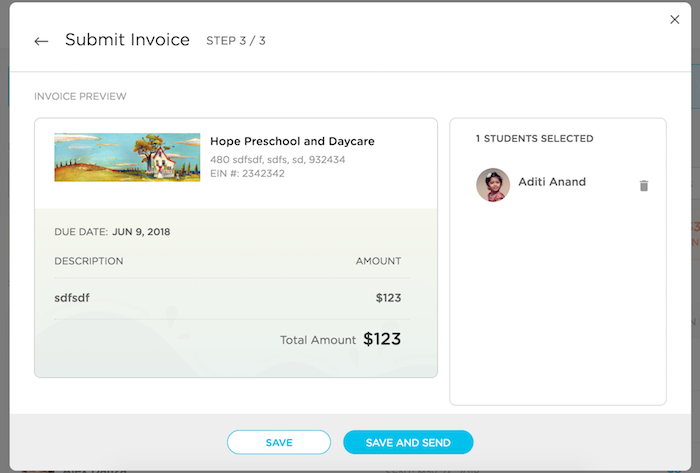 If you're ready to send out the invoice to parents, click "Save and Send."